Central Railway Notification 2018.Central Railway has released a notification for the recruitment of Lab Assistant, Pharmacist, More Vacancies. Check the eligiblity and notification prior to apply for the positions. 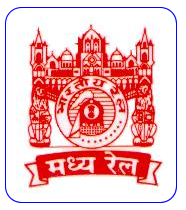 Central Railway has been decided to fill up following vacancies in Mumbai Division by re-engagement of Staff, who have retired from Murnbai Division, Central Railway. a. Retired staff who have retired from Mumbai Division of Cenrtral Railway and from the same category and same department for which notification is issued can apply.The Administration is at liberty to terminate the services of the re-engaged employees even before 01_12.2019 in case their work/ conduct is found unsatisfactory by giving a notice of 7 days. The re-engage retired staff should give a notice of 7 days before discontinuing his services. b. The employees Removed / Dismissed/ Compulsory retired as a result of disciplinary action or in review, are no! eligible for reengagement. Further employees retired under SRRS/LARGESS will not be eligible The re-engaged employees are entitled only for monthly fixed remuneration i.e reducing pension from his/her last pay drawn, (i.e. Basic+DA) at the time of retirement. c. The monthly fixed remuneration plus full pension shall not exceed the last pay drawn at the time of retirement. The Re-engaged employee will not be eligible for any kind of leave (like CL.APL. sick Leave etc). For absence if any, appropriate deduction will be made from the monthly remuneration. d. The re-engaged employees are not entitled for any other benefit or facilities except the monthly fixed remuneration. 10) The retired employee shall execute an agreement to abide by all the terms and conditions of the re-engagement . I l) Re-engagement shall be subject to prescribed medical fitness for the relevant Category. Suitability i Competency of the applicant shall be adjudged by nominated committee before their re-engagement. The re-engagement shall be strictly upto 01.12.2019 or attaining the age of 65 years or till the availability of regular candidates from RRB/Departmental Selection whichever is earlier. d. The re-engaged employees are not entitled for any other benefit or facilities except the monthly fixed remuneration.The retired employee shall execute an agreement to abide by all the terms and conditions of the re-engagement . I l) Re-engagement shall be subject to prescribed medical fitness for the relevant Category. Suitability i Competency of the applicant shall be adjudged by nominated committee before their re-engagement. Age: The re-engagement shall be strictly upto 01.12.2019 or attaining the age of 65 years or till the availability of regular candidates from RRB/Departmental Selection whichever is earlier.